The South African Reserve Bank (SARB)’s monetary policy committee will announce the interest rate decisions today at 15:00 SAST. 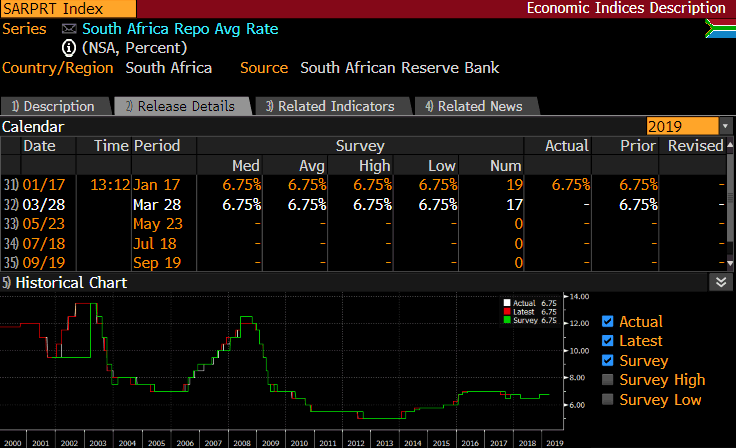 The Repurchase rate or (Repo Rate) is the rate at which private banks borrow from the SA Reserve Bank, the outlook is that the current rate will remain unchanged at 6.75%. The Prime lending rate or (Prime Rate) is our benchmark rate at which the private banks lend out to the public, the market consensus is that the Prime rate will remain unchanged at 10.25% later today. Inflation numbers: The latest release of the Consumers Price Index (CPI) (YoY)(Feb) came in slightly higher than expected at 4.1% from 4% recorded in January. The main drivers of the 0.8% CPI (MoM) increase were transport and insurance. The inflation number is currently watched carefully as a substantial increase in inflation might just trigger the South African Reserve Bank’s monetary policy committee to increase interest rates. 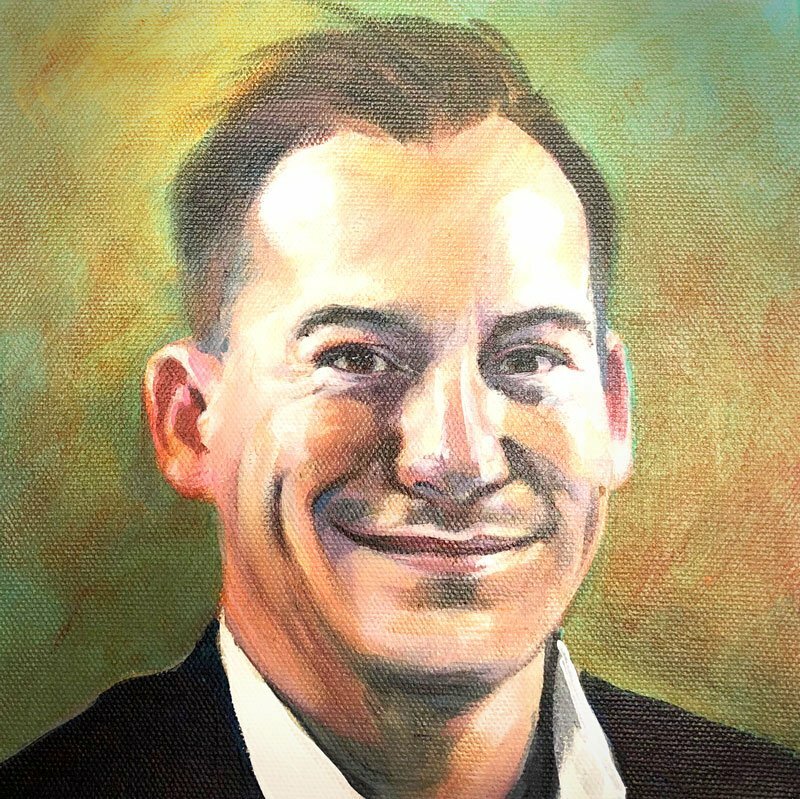 The South African economy has been filled with uncertainty due to Eskom’s load shedding which has seen the troubled power utility struggling to keep the lights on over 2019. The R450 Billion debt burden that Eskom has along with the effects of load shedding is at present a real threat to the South African economy’s growth. Gross Domestic Product (GDP) growth expectations will be closer to 1.0% (Y0Y) for 2019 which is much lower than the 1.8% growth forecast by the World Bank in mid-2018. Eskom’s inability to supply power along with the current debt to GDP is one of the main focal points for Moody’s. The credit ratings agency Moody’s will release its long-awaited review on Friday the 29th of March where it will be decided whether South Africa’s credit rating will be lowered to sub-investment grade. Currently the only ratings agency to still have SA at investment grade will most probably make its announcement after market hours. A downgrade to sub investment level will see substantial capital outflows from the South African economy. With Brent Crude Oil rising over 25% from the start to the year coupled with the U.S Dollar gaining momentum SA is set for another roller coaster ride. The Petrol Price increase trend we saw over 2018 might be on the cards yet again as oil supply cuts are set to continue well into 2019. Goods and services are also set to rise along with additional petrol increases. Not to mention if we see a Moody’s downgrade which might lead to higher petrol prices, weaker exchange rates adding to the burden faced by South Africans. The south African Rand (ZAR) has been under immense pressure over 2019 mainly due to the U.S Dollar strengthening over this period. With the South African Reserve Bank (SARB) not expected to increase interest rates which would give the local currency a much-needed lift the next saving grace for the Rand (ZAR) might be the FED’s dovish stance on U.S interest rates. With the FED’s current outlook, it is more likely that an interest rate cut might be on the cards later in the year which might give Emerging Markets some breathing room. 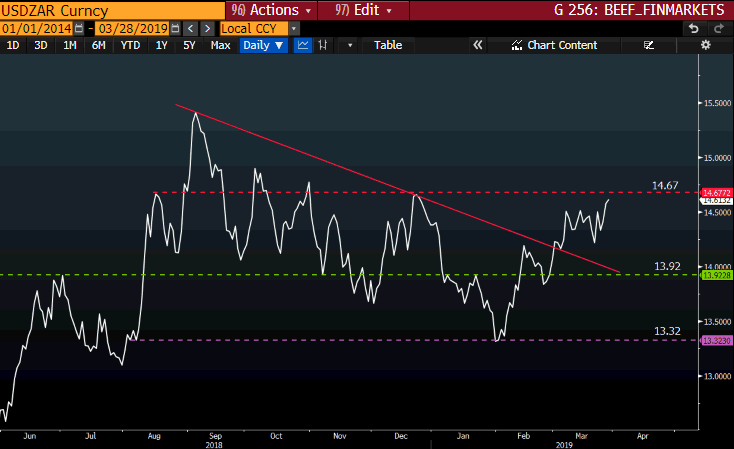 By looking at the USDZAR currency pair we can see that the Rand (ZAR) has been under pressure since January 2019. The price action has also broken out of a descending technical pattern which supports the move higher. The next major resistance line for the currency pair is the R14.67/ USD level which will be watched closely. What can I trade today? 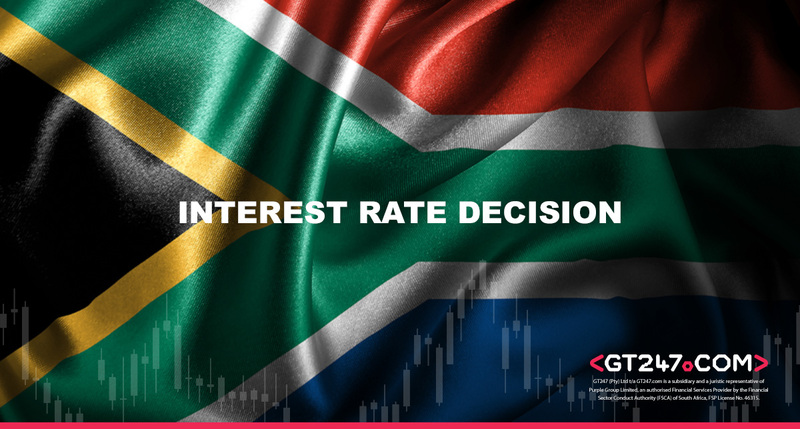 When and what time is the South African interest rate announced in South Africa? 28th of March 2019 at 15.00 SAST.